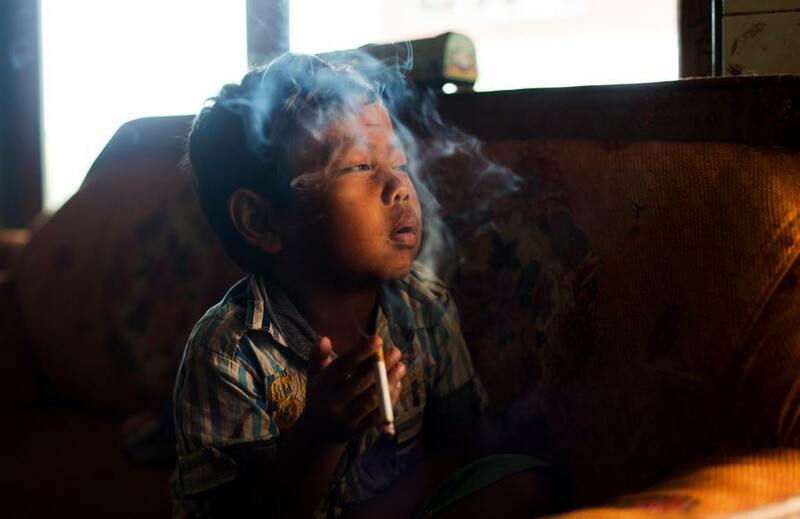 The tobacco industry has got Indonesia in a chokehold, so much so that Indonesian child smokers are becoming the rule rather than the exception. You can’t walk more than a few feet in the Republic of Indonesia without seeing a tobacco advertisement. The images are so prevalent and deeply ingrained within the culture that children as young as four are already addicted to smoking – sometimes going through multiple packs of cigarettes a day. They’re cheap, the lobbying is relentless, and virtually no information is made available about the dangers of addiction or smoking-related health risks (interestingly, some clinics in Indonesia claim that tobacco smoke is something of a panacea, able to cure everything from autism to certain kinds of cancer). It’s difficult to deny how much of Indonesia’s economic livelihood depends on this industry. Tobacco has brought a considerable amount of quick financial success to local tobacco farmers. Even as the West has seen a rapid decline of smokers, Indonesia carries on in its own consistent tobacco demand: 67% of Indonesian males smoke on a regular basis –and sadly, this would include the smallest ones that haven’t even made it to school yet. 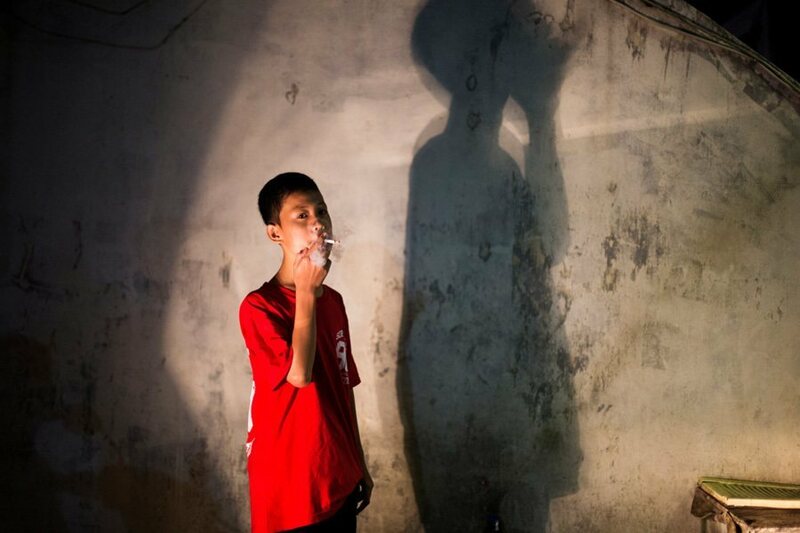 In 2010, the University of Indonesia School of Economics’ Demographics Institute found that 426,000 of Indonesian children between the ages of 10-14 are smokers. Only time will tell if Indonesia – along with other countries going through similar problems – will ever be in a position to bite the hand that feeds it. But if and when that happens, will it be too late for the smallest uninformed victims of big tobacco? See more of Michelle Siu’s documentary work on her website.